Maintains tire pressure through the SUPER-AIR CENTRAL TIRE INFLATION SYSTEM (CTIS) control unit providing full tire life, which results in significant fuel savings and safer driving conditions. In case of loss of pressure in the OBTIS network and the control unit sets off an audible/visible alarm. Immediately warning the driver of leakage in the tires. 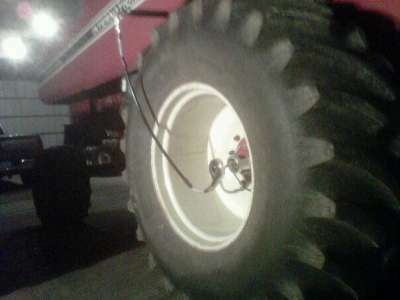 The driver pulls the valve on the controller and air begins to flow to the tire compensating for the leak, allowing the driver to continue to a safe destination! 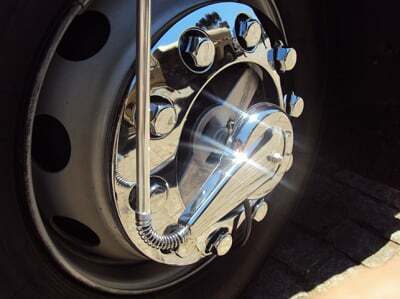 The OBTIS unit will keep proper tire pressure in all tires providing even tire wear and maximizing tire life. Decreasing the risk of tread separation or other tire failure; Minimizing the Risk of an ACCIDENT!!! NHTSA estimates that crashes attributed to under inflated tires causes 660 Fatalities and 33,000 injuries every year!! "All rights reserved (c) 2018 SUPER-AIR LLC."